Winter is in full swing! We love snow in our house, but we haven’t had any yet this year. We have had some rain, which is great, but you can’t build a snowman with it. So, mom to the rescue! We are going to make your own snow. This DIY project comes from Savvy Sassy Moms. 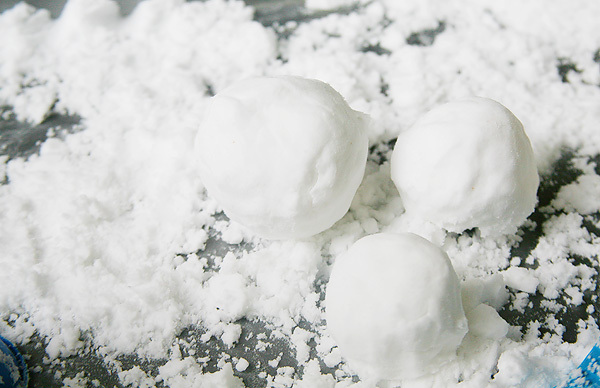 Savvy Sassy Moms has an incredible recipe/tutorial for creating your own homemade DIY snow. This snow is not actually snow, but it is white and sticks together well for building. Head on over to Savvy Sassy Moms now and get the full tutorial. You can duplicate it to make more, or cut it in half to make less. We suggest getting a plastic tablecloth or even a large plastic storage bin to keep the snow in. That way you have easy cleanup after your little ones are all done playing. Enjoy the snow! This entry was posted in Activities and tagged DIY, diy snow, fun indoors, homemade, homemade snow, savvy sassy moms, snow building, snow day, snow fun, the boys store on January 4, 2018 by Lacy.